This guy's sure that the third time is the charm. So he sports a 3 on one domino foot, three pips on the other, three buttons, and three fingers on each hand! 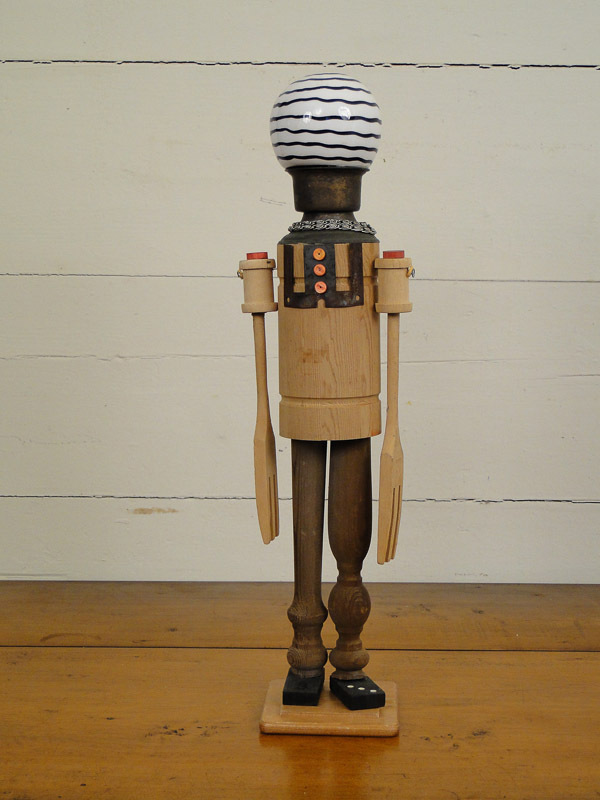 He's made from a salt shaker, wooden spools, beads, salad forks, game pieces, a cotton bale strap holder, chain, a lamp light socket, chair legs, and a coaster.